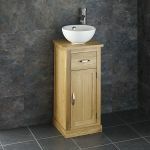 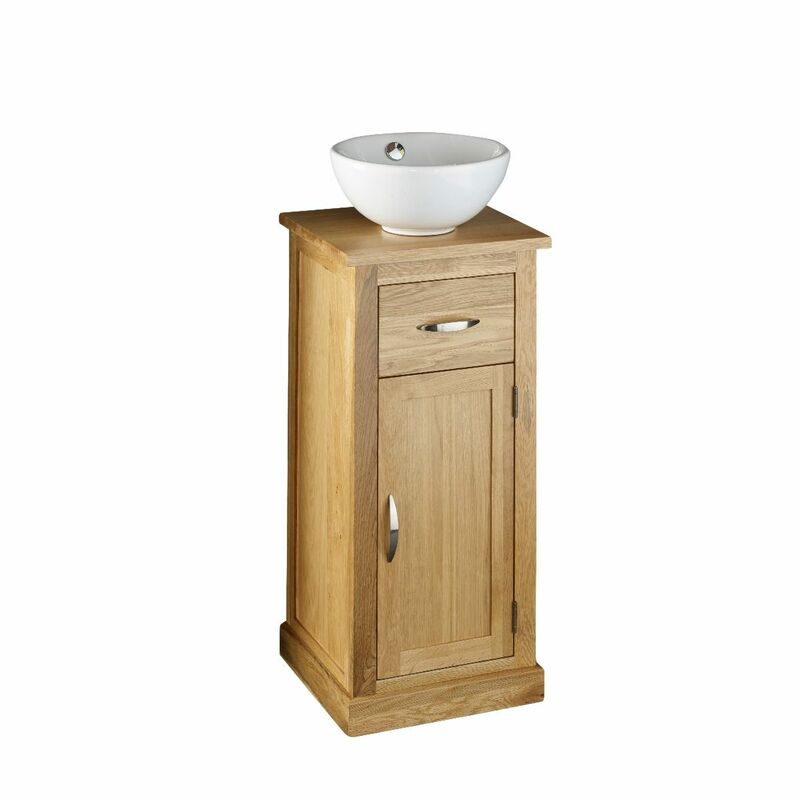 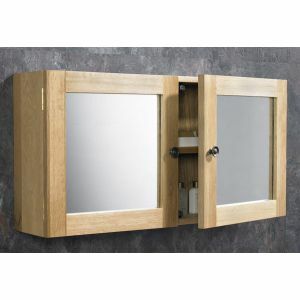 With this solid oak, single door, narrow freestanding basin unit, you can benefit from increased space efficiency. 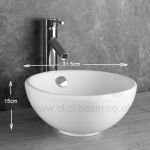 No longer will you have to deal with toiletries and shampoo bottles strewn across your bathroom or en-suite – they can all be stored in this basin unit! 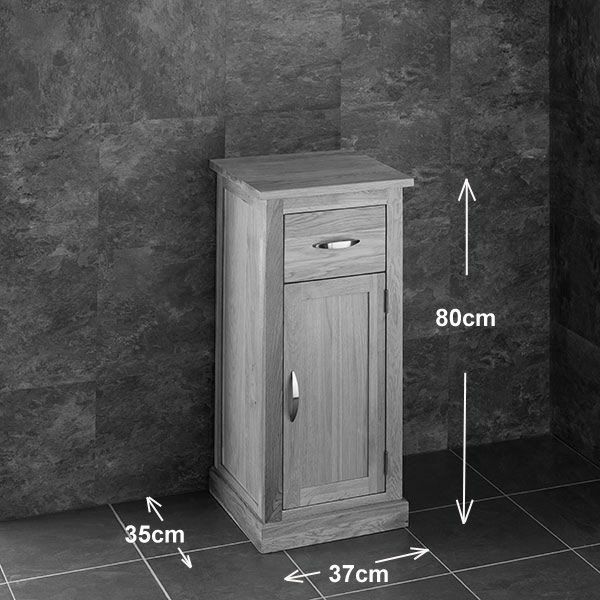 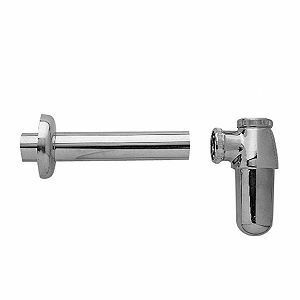 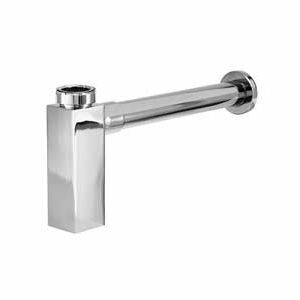 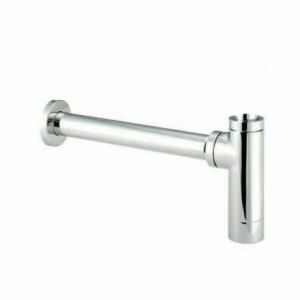 This particular unit is ideal for use in smaller bathrooms, cloakrooms and en-suites. 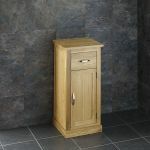 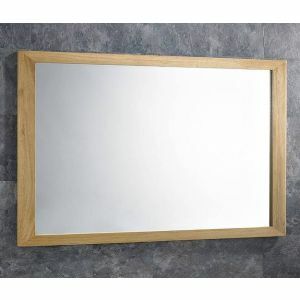 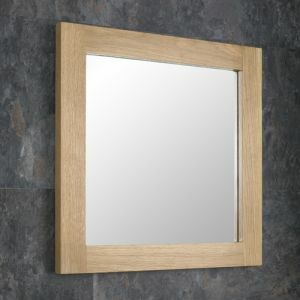 It’s made of solid oak, and it is hand crafted by expert craftsmen. 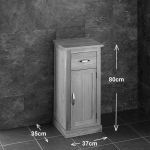 These units are delivered pre-assembled; they’re solid and sturdy too. All of the solid oak units that we deliver are undrilled – allowing you to decide exactly where you’d like the taps to go once the unit and basin are in place. 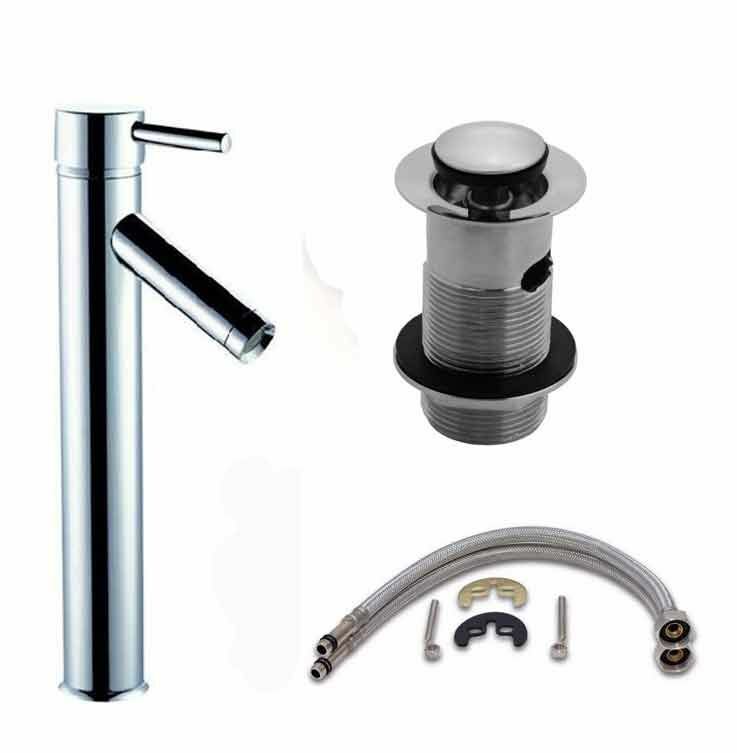 It’s not just the basin unit you’ll receive when you purchase this item – we’ll also include a stabia basin, tap, push click basin waste and tap hoses for free!